Internet scams are by no means a recent phenomenon, but certain scams come back again and again. Here are five popular Internet scams that you should be on the lookout for. 1. Auction fraud. Sure I love cheap stuff on eBay as much as the next guy, but that ’73 Collectors Edition Elvis Plate you’re bidding on might not be that great of a deal. Fake and stolen merchandise aren’t uncommon; even a Certificate of Authenticity doesn’t necessarily mean anything. As eBay Scam Watch puts it, “If a seller is willing to misrepresent a fake item as real, then what is the big deal of throwing in an authentic looking certificate?” Another scam is the “shill” scam: A seller wanting to drive up the price on his auction may bid himself or have his friends bid, just to make you pay more. If you notice a repeat bidder on a seller’s auction history, something’s probably up. One more tip: Never wire money directly to a seller—it’s almost impossible to retrieve the money if your purchase isn’t shipped. 2. Bank fraud. “Phishing scams” are popular email scams. You’ll get an email from your bank warning you that someone has been trying to access your account. They’ll ask you to click on a link and verify your information, so the bank can take care of everything. No matter how legitimate the email looks, banks never email you asking for your information. The email is from a scammer hoping to empty your savings. The most recent scams play off government stimulus checks and EPPICards (for child support payments). 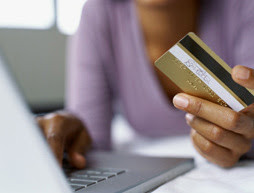 Check the National Consumers League’s Internet Fraud Watch for tips to avoid such scams. Similar schemes play off mortgage and credit card debt elimination, with the scammer offering to get rid of your debt for a small fee ($1000-2000) and power of attorney authorizing transactions on your behalf. When this information (and payment) is entrusted to them, you’ll be left with nothing—except that mortgage or credit card bill they still haven’t taken care of. 3. You’ve won a FREE Xbox fraud. Pretty much any time you’re given something for nothing you should be wary. As charitable as Bill Gates is, Microsoft Corporation is a business and isn’t going to give away thousands of free Xbox’s. The email will read something like this: “Congratulations! You’ve won a FREE Xbox (or iPod, or TiVo, or some other fancy gadget)! All we need is your address and credit card information to pay the $5.99 shipping/handling!” Don’t trust it, or you’ll soon find your credit card maxed-out—and probably five or six more cards you never knew you had. 4. Charity fraud. Perhaps the most unfortunate scams in recent years have come in the wake of tragedies like 9/11, Hurricane Katrina, and the 2004 tsunami. When such tragedies occur, scammers take advantage of the fact that many people who are willing to help don’t know where to donate their money. Never trust an email asking for charitable contributions before verifying the credibility of the organization. Never open attached images or files, as they may be viruses. And never provide them your personal information. If you want to help, you should preferably donate directly to big-name organizations like the Red Cross or Amnesty International, which always organize direct disaster relief funds. 5. Murder for hire fraud. One of the most twisted Internet scams it the so-called “hit man scam.” The victim is contacted and told that he/she is to be assassinated or a loved one will be kidnapped, unless the recipient wires several thousand dollars to the sender of the email. In another version the “hit man” claims to be a law enforcement official who has recently discovered the recipient’s information in a captured murderer’s pocket. The recipient is then asked to contact the “authorities” to help with the investigation. Even if you feel someone is really out to get you, if you ever receive one of these emails, contact the police—immediately. The best way to keep your finances secure is to never give out any personal information unless you’re sure the site is reputable. If you think you’ve received a scam email, report it either to the Internet Crime Complaint Center, which also puts out yearly statistics on online fraud, or to the FBI’s Cyber Investigation Team.